MONTREAL — Quebec Premier Francois Legault said Tuesday the freezing death of Gilles Duceppe's mother shows there are problems to be addressed in the province's seniors' residences. Helene Rowley Hotte, 93, died after leaving her building when a fire alarm sounded in the early hours of Sunday. Police said she ended up locked out in the middle of a frigid snowstorm. Legault called her death an "immeasurable sorrow" and said he is embarrassed by how the elderly are sometimes treated. A coroner's investigation has been called into Rowley Hotte's death. Speaking to reporters in Paris where he is on an official mission, Legault said his government will work to improve safety in seniors' homes. "It must not be allowed to happen again," he said of her death. Montreal police said the victim had a hearing problem and likely didn't understand the announcement that her wing in the Lux Gouverneur residence was not part of the 4:15 a.m. evacuation order. The door locked behind her as she went into a backyard. A statement from the residence's management said security cameras showed Rowley Hotte leaving the building dressed in winter clothing and then later collapsing outdoors. A friend said her absence was only detected when family members checked on her in the morning. Her body was found more than seven hours after the fire alarm went off. Pierre Blain, president of a Quebec patients' rights group, said regulations need to be tightened for private residences such as the Lux. "We are always closing our eyes when it comes to the security of the elderly," he said. The residence in east-end Montreal had six staff members on duty the night Rowley Hotte died, more than is required under provincial rules. "It's clearly insufficient," Blain said, questioning the utility of security cameras that are not monitored. "They're used not for what is happening, but only for later when something has happened," he said. "That's not acceptable." Michael Udy, president of Seniors Action Quebec, said he hopes the coroner will be able to answer some of the questions arising from the death. "How is it you can follow the required procedure and then end up locked out?" Udy asked. "So there's something there that needs to be examined." Marguerite Blais, the minister responsible for seniors, has said she'll look at tightening rules once the coroner's investigation is complete. 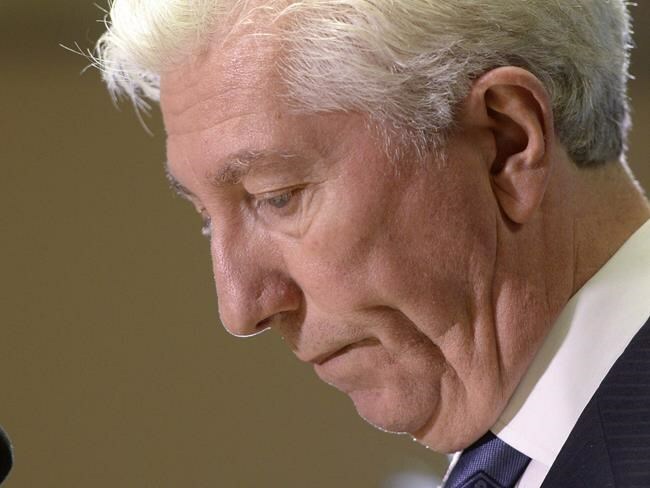 Duceppe, the former leader of the Bloc Quebecois, made his first public statement Tuesday since his mother's death, using Twitter to thank people for their messages of condolence and support.